I wrote 'Purple Mike' in hopes to create a cycle for positive change in the world. To kids with problems, substance abuse isn't the answer...It's a trip. It's a trap. For those who decide to take this trip, may you be forewarned...drugs aren't your friends. 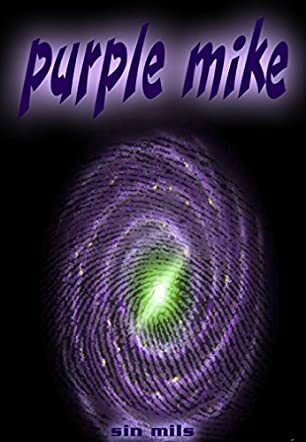 Purple Mike is an interesting novel showcasing the dangers of drug use. The story is based in the town of Anyplace, where the hallucinogen LSD, known as Purple Mike, resides with his pals Pill, Powder and Pot. Author Sin Mils reveals the enticing nature of these drugs and how the average person is tempted to utilize them to escape reality. Purple Mike influences Johnny Boy and also Sally Sue. He is in love with Sally Sue and makes a special attempt to seduce her. At a school party, Purple Mike dives into the punch bowl as Powder suggested. They create havoc in Anyplace since the majority of the students become hooked on the drugs. Sally Sue’s life also hangs in the balance. Purple Mike then regrets his actions and tries to correct all his mistakes. He creates an alliance with Grady. They go back in time to erase history so that the future of the residents of Anyplace would be bright. Will they succeed? Purple Mike is an eye opener to concerned persons, especially parents. Author Sin Mils chose to give these dangerous drugs voices and personalities as though they were human. This clever tactic is very effective. The average reader is able to fully understand the wiles of these drugs. He/she can also empathize with those who fall prey to their seductive ploys. The language used is colloquial and is easy to understand. I love the colorful purple and green book cover. The use of italics highlights important messages that the author seeks to convey. This really catches the reader’s attention. The plot literally thickens towards the end of the book. The reader is exposed to the underworld, so to speak. The author sensitizes us to the fact that we are responsible for all decisions that we make in life. There are consequences to our actions, especially when we choose to abuse drugs. Purple Mike is a good read and it is relevant to all readers.